Where we not told stories in our childhood? I was read stories from Amar Chitra Katha, from Leo Tolstoy's books, and those Russian magazines of Masha. I still feel those soft strokes I gave to the A3 sized board books of "Masha And The Bears", dad would bring from his office library. Over a period, I happen to retain few stories in my mind that mom read to me and one of my childhood favourite was the "Plum hannina vaate" meaning the seed of the plum fruit, in kannada. The story originated from Leo Tolstoy's book but was translated in some Kannada book. Unfortunately, I can not recall the name of the book. 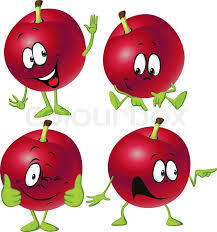 Plums in the eighties were those luxury fruits that made it's appearance in the fruit vendors shop once in a while. That first time when the fruit and the book with the story both arrived home together mom had read this story to us. "One day Raju's mom purchased some plums from the market. Plums were a rare product then. It was a big catch and a golden fruit haul by mom. She carefully washed them and arranged them in a basket to be eaten by entire family together after dinner. Raju the youngest among the 5 children, could not withhold his curiosity. He polished his tongue every time he saw the ripe crimson red fruit in the basket. Though he had never tasted them before, mom's treatment to the fruit made him realize it indeed was something unique. Tiny inquisitive mind was soon up to mischief as he grabbed one of them and relished it alone hiding in a corner of the house. Then gleefully hiding all his euphoria he sat at the dinner table. Now dad noticed the count of the golden fruit and immediately announced "children, who ever has stolen the fruit, please tell me urgently. Because the seed that you have swallowed will grow into a tree in your stomach and branch out of your ears and nose next morning. We must not let it happen". Dad had nailed it. Soon Raju admitted his mistake and the family laughed out aloud but with a lesson for Raju and all the children on not to be greedy and also honesty is best policy. " How cute. We had a big fancy for the fruit as well as the stories my mom narrated to us in childhood. Also I have to pass on the legacy to my children and stories are one thing that keeps my hyper active four year old son quite on a couch. He can listen to a dozen of them at once and blink at me and his books constantly. While I picked a few plums this morning from the hyper-market it unexpectedly brought back my memories and also added a story onto my cart for my son. Gone are the days of grandpa, grandma stories. We have gadgets replacing them to my dismay. We often end up in this discussion of bookish education and those of values of humanities. And I give a thumbs up to reading books to the children or narrating them stories from life. This is a flash post today. Anybody having good suggestion for story books for my kid please do leave a comment with title of book and the author.